If you have been following So-Saree regularly you would know about my undying love for food. As much as I love food, I hate recipes that are elaborate and time consuming. I am always up for recipes that are quick, easy to make and do not compromise on taste at all. 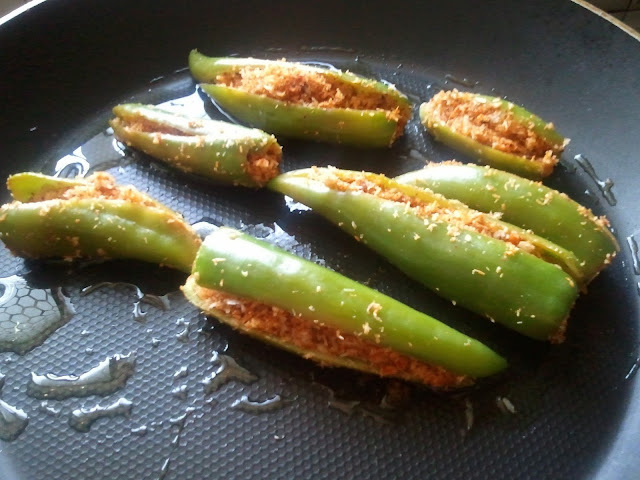 So the first recipe that I decided to post on So-Saree, was the most basic Stuffed Chillies. It is soo easy to make that even an 8 year old can make them easily. Cut off the stem of the chillies and slit them vertically, so as to remove their seeds. 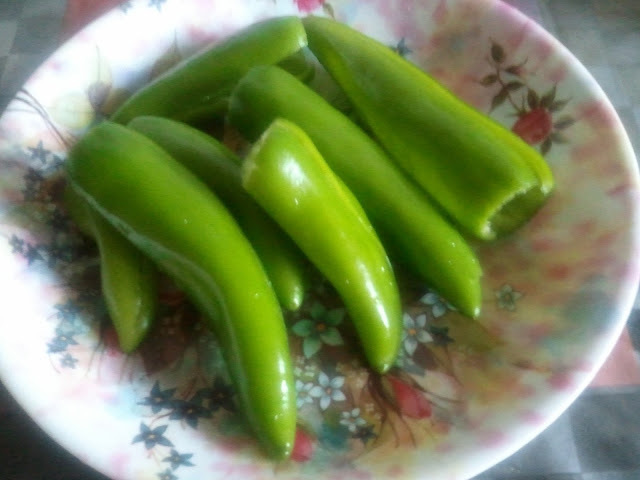 This variety of green chillies are less hot but I still recommend wearing gloves while cleaning them. 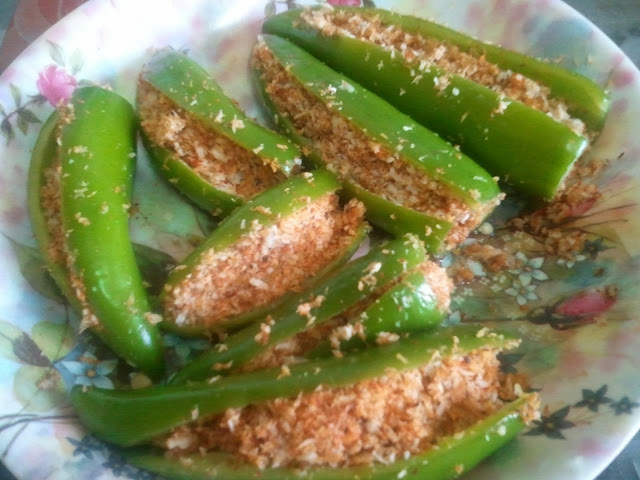 Once done, wash them under running water and squeeze some lime juice inside the slit chillies. Keep them aside for about 15-20 mins. 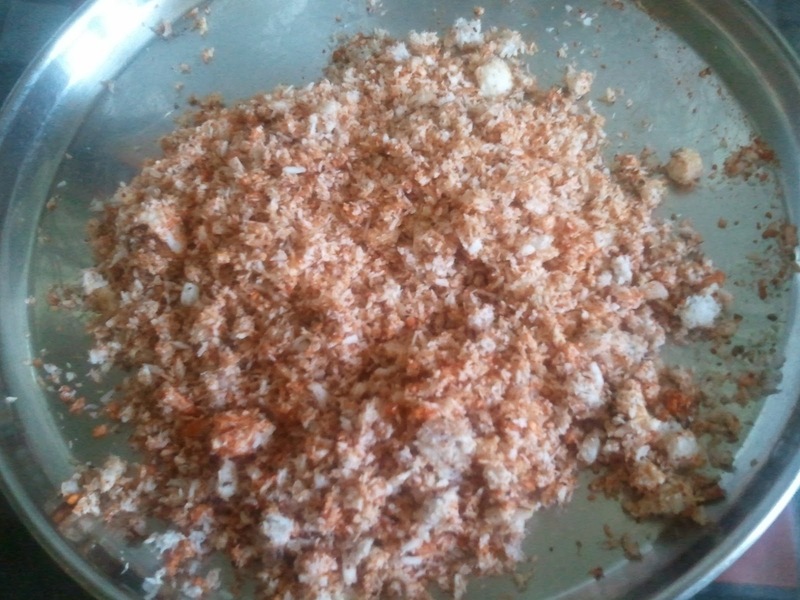 In a dish, mix the grated coconut, cumin powder, red chilly powder and salt, and mix with a spoon. 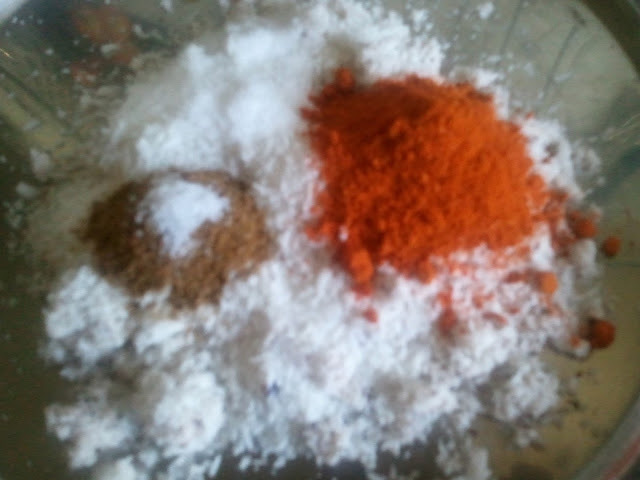 Adjust the taste of the stuffing by adding the spices of your choice. Now stuff the chillies with this filling. 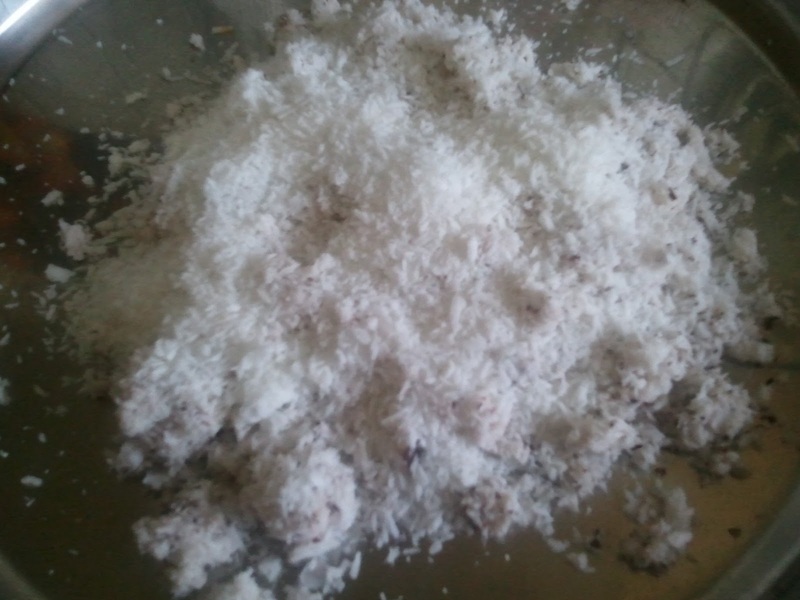 Place it in a microwave dish and microwave it for about 3 minutes. This will minimize the time needed to stir fry the chillies on the non stick pan. Once done add some oil to a non stick pan, and place the microwaved chillies on them. Adjust the flame to medium. Keep turning the chillies so that they get nicely tanned [;)] from all sides. This should not take more than 5 mins. And we are done. This can be served as a side dish, and can be prepared in no time. Apologies for the bad presentation, apparently my family was too hungry and upset that I was clicking pics instead of serving them. I am hungry already..what about you guys?? P.S. 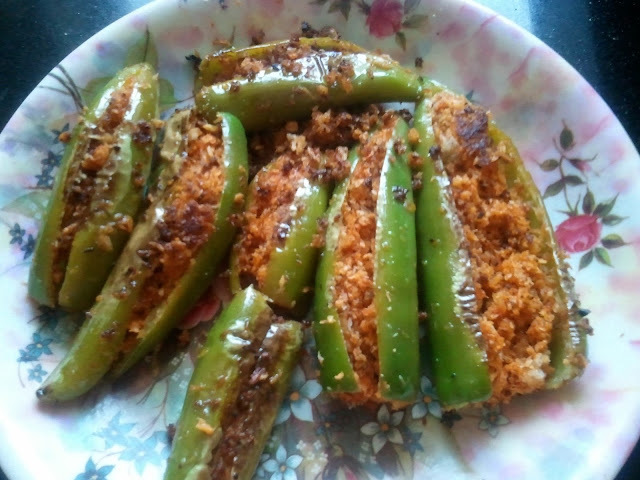 You can follow the same recipe by replacing chillies with ladyfingers and believe me they taste awesome. Just eliminate the lime juice and you are good to go. Super easy and looks delish! !Agree Aditi..I'm a lover of simple n quick recipes just like you and I'm sure to try this! Yup Kalyani Its super easy n so yumm. LOL..I understand..thanks for commenting. Do let me know how it turned out. Nice and easy one.I tried with a little variation ,but would love to try yours next time.Mine one is there on my blog. Do try it and let me know, i will surely chk your blog. Aditi! My mouth started watering after seeing the pictures. Specially the one with stuffing in a bowl. HAHa..wait until u taste it. I am hungry too.I love simple n easy to make dishes like these. I am not a chilly person, but my hubs is. So this one will be tried out in my kitchen, undoubtedly ! Do try it n let me know. I love green mirchi achaar a lot. I am gona make it soon and tell you. You know what, I am smiling after reading your last sentence. While reading I was focusing okra mean ladyfinger to fill the stuff..and you suggest it already. hahaha ;p Antaryami gurl. Wow, looks tasty, I need to try your recipe! Thanks ..i will chk your blog soon. Thanks Ayantika.. sad u cant eat chillies. Oh wow, these look so good and spicy! Will have to try out this recipe! I just hope it turns out looking as nice as yours! It will..its too easy. Thnk u.
Ha..then u shud probably try it soon. it sure is yummy.